Agreement for the establishment of Pan-Baltic VCA was signed on the 25th of August at Baltic VCA Summit in Pärnu. From the left: Kalmer Kikas, Chairman of the Board of ESTVCA, Janis Janevics, Member of the Board of LVCA and Dovydas Varkulevicius, Chairman of the Board of LT VCA. 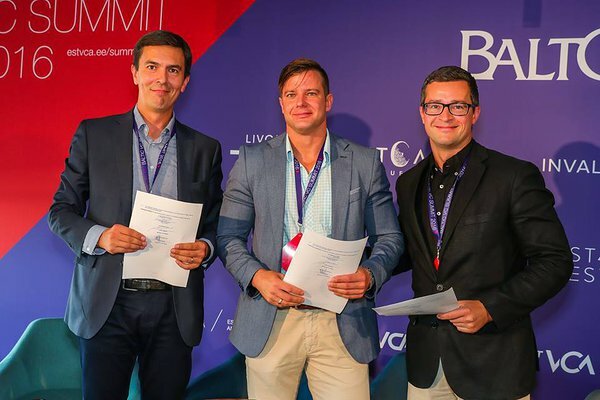 Pan-Baltic Private Equity and Venture Capital Association (Pan-Baltic VCA) was established at the Baltic VC Summit 2016 in Pärnu last Thursday with the aim to develop an attractive and viable regional ecosystem for the fund managers and investors.